In the '60s, The Rascals, led by Felix Cavaliere, filled our airwaves with a unique blend of joyful rock and blue-eyed soulness. They could play with a garage grit that could make your fingernails dirty and back sweaty. And then just as quickly, refresh your mind and body like a naked run through a warm spring rain. The Rascals were different, in the fact that they could sell it from both sides of the street. From the raucous "Good Lovin'" to the introspective "How Can I Be Sure," the band was a perfect radio companion. And also along the way, Felix Cavaliere tapped into that elusive, mysterious, rarely-found, cosmic songwriter's well...and gave us "A Beautiful Morning" and "Groovin'"...two of the most timeless, calming, feel-good songs ever. Just try to stay mad! And though The Rascals have been recognized by their peers for their contributions to rock-n-roll...and rightfully so...their music may still be undervalued. Go get you some. Casey Chambers: Let's begin with one of your signature songs..."A Beautiful Morning." Talk about timeless. How did that song come to life? Felix Cavaliere: At that time, we were really flying high on the charts. We had number one records. And at that particular time, we were out on the island of Waiehu. I was madly, madly in love. I had met this woman who was the inspiration for almost every one of those love songs. And here we were in Hawaii finding ourselves as big as The Beatles and I said, 'Let me write something that reflects this feeling so that other people can kinda feel like this whenever they hear it.' And that's what came out. Casey Chambers: When The Rascals hit the studio in 1968 to record, "A Beautiful Morning" ...were you already toying with the idea of adding wind chimes? Felix Cavaliere: Well yeah, I basically had that idea. At that time, The Beatles had a song called, "Yellow Submarine" and it had bells and underwater sounds. They were creating an environment for their songs to fit into. I said, 'What a great idea, man. Create an environment.' So obviously, our song was a morning kinda situation. The Beatles were just phenomenal writers and they started so many different things. Casey Chambers: "A Beautiful Morning" peaked at #3 while "Mrs. Robinson" was riding the coattails of "The Graduate" at #1. Did you ever happen to cross paths with those..."old friends?" Felix Cavaliere: Oh sure. Many times. And when I'm traveling, I still run into Paul a lot in New York City because he goes to one of the restaurants I really enjoy. As for Art, I see him once in awhile. He lives at the place I stay at when I'm in New York. And whether a song reaches #1, 2, 3, whatever... you really can't just go by the number. There are so many outside influences that can affect a record's status. For example, having a song tied into a movie is obviously going to get a hell of a lot of attention. And there's a lot of politics involved. There's a lot of marketing involved. There's a lot of good luck involved. But, I believe that the longevity of a song, how often you still hear it, is important as well. "A Beautiful Morning" has survived the test of time for over 50 years now and that has its own value, I think. Casey Chambers: Absolutely. That's a very good point. Now The Rascals first big hit was a cover of "Good Lovin'" by The Olympics. How did you get turned on to that burner? Felix Cavaliere: You're going way back, now. In the very beginning, we were working in nightclubs. And clubs, at that time, demanded that you do covers. Covers meant you didn't write it. You may not have recorded it. But someone did and it was on the radio. Well, that could be very difficult, especially if you didn't really like what was on your radio. You had to kind of explore other avenues. Fortunately, we had a number of R&B stations in the New York area. And a lot of the songs that were on those stations were really great but had never crossed over to the pop charts. They were either too ethnic or too whatever you want to call it. So what I would do, I would go and listen and listen and if I heard something that really rang my bell, I'd take it back to the band and we'd try it out. And the beauty of that is when you have a live audience, you get immediate reaction to...well...they like it or they hate it. And with that song, people got up and danced as soon as we started playing it the first night. So we knew we had something here, ya know what I'm saying? Casey Chambers: Yeah, instant feedback. Felix Cavaliere: Absolutely. And vice versa. Casey Chambers: Was "Good Lovin" the song that got The Rascals their record deal with Atlantic? Felix Cavaliere: I don't know that it was any particular song. What was happening, was that we were the house band at this place in Long Island called The Barge. And The Barge was in The Hamptons which, as you well know, is still one of the major, major kind of highlights of everybody in New York who can afford it. I have to put that little bit of note in there because the Hamptons is just an expensive place to be. Casey Chambers: I know The Hamptons from my George Costanza Seinfeld binges. Felix Cavaliere: (laughs) And so anyway, we went out there, I believe, in the summer of '65. And we created quite a stir because, well frankly, because we were really a good band. We had four members, at least three of which had been leaders of their own bands. So it was kind of like...headliner, headliner, headliner, headliner. You know what I'm saying? And Atlantic heard about us along with a lot of other record companies. And they sent people out to hear us. Casey Chambers: Exciting life-changing times for The Rascals. Felix Cavaliere: It was extremely exciting and especially with the fact that we had only been a group since February and it was now July. So that's pretty darn good. I'm really proud of that. 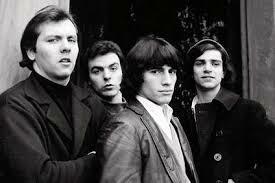 Casey Chambers: Hard to believe, but we're coming upon the 50th anniversary of The Rascals' 3rd album... "Groovin'." (1967) I'm kind of jealous I wasn't around to experience this music first hand. Felix Cavaliere: I think one of the things about the '60s that I really enjoyed, and still do enjoy, is the link that we have with each other. We didn't have internet or Facebook...but we did have a tremendous amount of communication through the music. All of us were linked to each other by what we heard on the radio. And we kind of grew up together. We fell in love together. We got divorced together. We got into drugs together. We got into trouble together. Everyone felt a connection. And I'm happy to say that it was because of the music. And when I do a concert today, those are the people, young and old, that come and tune back into that frequency. And man, they all understand what I'm saying because that's the beauty of it. Casey Chambers: When The Rascals began incorporating some psyche into their music, was Atlantic supportive of that musical shift? Did they encourage that? Felix Cavaliere: Ya know, we had a phenomenal record deal in that we had complete control. One of the reasons that we went with Atlantic is because I demanded that we produce ourselves. I was very, very, very adamant about that. And the good fortune was, that while they contractually gave us complete control, they also gave us two geniuses to work with in the studio. And those people were Tom Dowd and Arif Mardin. And when I use the word geniuses, I don't use that loosely. When we started making records, and they started becoming hits, the record company eased off for the most part. It was kind of like...'if it ain't broke, don't fix it.' So they really didn't have much to say about what went on unless they did it through Arif and Tom...who were Atlantic employees, no doubt about it. But we never had much static. The only static we had from the so-called hierarchy was when we decided on a single. At certain times, they disagreed with our choice. Casey Chambers: I recall reading that Atlantic was wanting to sandbag the song..."Groovin" at first. And that song, of course, went on to become a number one record for you guys. Felix Cavaliere: It's really interesting because no one really knows the answer to...what's a hit and what's not a hit? I guess a record company tries to use as many formulas as they can to market a group. But this was all new territory for Atlantic. We were the first white group on Atlantic Records. Their experience was mostly with R&B artists and jazz artists. So it was a new world for them. And it's like anything else. Look, their judgment was good. Their judgment was bad. As for "Groovin," what they were really concerned with was the fact that there was no drum on it. It was done in a Latin vein which is conga. And I knew because I lived in New York, that the Latin influence in New York City was immense. And look at it now. It's even more huge. They just weren't tuned into that as much as I was. Casey Chambers: Didn't Murray The K fight like a cat to get that song played? Felix Cavaliere: He certainly did. He certainly did. He happened to be in the studio and he literally took it upon himself to go into Atlantic and speak to Jerry Wexler. And he said, 'Look, man, not only is this a hit, but I'll play it now!' (laughs) He was a great guy, man. We used to go to football games together. Miss him. And in those days, there was a little bit of freedom of movement with these disc jockeys in that they had a lot of say about what was played on the air. Those days are long gone I'm sorry to say. Now it's all corporate. It comes from headquarters. And then you play it. That didn't really start until Zeppelin came along. That and Woodstock of course. And then the Wall Street people started taking a little bit more notice. But prior to that, we were little cottage industries as far as everybody else was concerned. And the disc jockeys had a lot of power. Cousin Brucie. And of course, Murray the K. The Good Guys at WMCA. People like that all around the United States. They could actually choose a song that they liked and play it. But those days are over. Gone. That's the way it is, man. Corporate. Casey Chambers: This is kind of a fun fact...Jimi Hendrix warmed up for The Rascals at a show in Central Park one time. 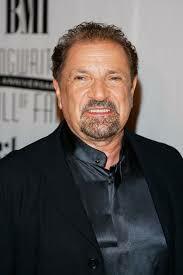 Felix Cavaliere: I knew Jimi from America prior to him going over to England and becoming "discovered" so to speak. He had been a sideman for some really great groups. Like The Isley Brothers. 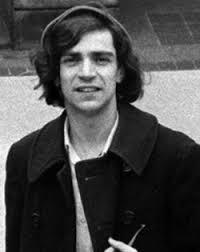 I believe he was also part of Joey Dee And The Starlighters at one time, which I was as well. So he had gone to England and literally had been discovered. So anyway, he had procured a record deal and had just come back from England. And that show with The Rascals was one of the first concerts that he did. And I believe he opened up for The Monkees, too, if I'm not mistaken. But we were one of the first. Casey Chambers: In 1997, The Rascals were inducted into the Rock And Roll Hall Of Fame. Felix Cavaliere: Oh sure. Yeah, it was a great night for us. Being inducted into the Rock and Roll Hall of Fame is a wonderful thing. I certainly would not belittle it in any way, but as with most awards, it's pretty political. We really needed a lot of help getting in there. I mean, there are great people that I know who are not in and they're kind of like...they just don't know what to do about it. Eddie Money, for example, and this is funny. He calls me up and says, 'Felix, you gotta get me into the Hall Of Fame. My kids don't think I mean anything.' I tell him, 'I really have nothing to do with that. I vote. We vote. But we don't nominate.' He says, 'Sometimes I feel like the Pete Rose of rock and roll.' (laughs) But there's a lot of people not in. Chubby Checker's not in there. A lot of people have had problems. I mean, there's just so many talented and interesting people that should be in there. The induction that really stands out for me is the Songwriters Hall Of Fame. I just adored that. That really meant a lot. It's not as well known...but I mean, the people who are in the Songwriters Hall Of Fame are really the best. You find people from all generations. All the way back to Johnny Mercer. Phenomenal talents. Hal David, rest his soul. Burt Bacharach and Hal David. Gamble and Huff. Of course, McCartney and Lennon. They're the cream of the crop. And it's an honor just to be mentioned in that category. It really is. Casey Chambers: It had to have been especially satisfying...as a songwriter...to see your original compositions begin paying off. Your classic..."(I've Been) Lonely Too Long" began a string of fan favorites. Felix Cavaliere: That was a huge, huge thing for me, yes. Basically, when you put out a record like "Good Lovin," and it hits number one...it's very difficult to re-achieve that. And with everyone else, all our peers from England, doing their own music, ya know, we really wanted to do that too. However, it's much easier said than done. And let me tell you, I think "Lonely Too Long" was our third try. And when that song took off and charted, it really made a huge difference in our career. Because if we hadn't of scored pretty soon, I got a feeling the label would have stepped in and said, 'we gotta get outside people to write.' So that was huge. Casey Chambers: Yeah, it was a great way of telling the label...'Hey, smell it! The Rascals got this." Felix Cavaliere: (laughs) Yeah ya know, as I say I'm proud of that because the competition was really very high level. You basically had to reach that level to survive. And we did. The nice thing is that a lot of that music is still around. Casey Chambers: "Lonely Too Long" was also featured in an episode of "The Sopranos." ("Down Neck"-S1:E7) It was the scene where Tony's having flashbacks and The Rascals appear on the TV set performing on The Ed Sullivan Show. Felix Cavaliere: Well, you know our link to "The Sopranos", don't you? I don't know if you're aware of what that is, but when we did get into The Rock And Roll Hall Of Fame, we were inducted by Steve Van Zandt. His induction speech got him his part in "The Sopranos." Casey Chambers: I'd never heard that! Felix Cavaliere: If you look at it, it was brilliant. And as a result, he got a phone call out of the blue from David Chase, the fella who created The Sopranos. And Steve was asked to audition. That's how he got it. So we have a direct link to "The Sopranos" from day one. It's an amazing little bit of trivia. But it's true. Casey Chambers: "Just when I thought I was out, they pull me back in." Like they say, every performance is an audition. Felix Cavaliere: There is nothing more true than that, Casey. You never know who's out there watching. And Steve was also very instrumental in helping us get into the Hall of Fame. He was, and probably still is, on the nominating board. He and Phil Spector and a lot of other people really came to bat for us. Getting nominated is the hardest part. Getting voted in, well, that's also not so easy. But first, you have to be nominated. Otherwise, you can't get in. Casey Chambers: Sounds like a whole lot of chutes and ladders. Felix Cavaliere: (laughs) Well, like everything else, it's not as easy as it looks. Casey Chambers: Well, I've only scratched the surface of your career, but as a longtime fan, I'm very happy The Rascals are in. They certainly deserve to be. Come out and do a show for us sometime! Felix Cavaliere: That's very nice of you. March Madness. Wichita State. Yeah, we've worked out there. I hope to get the chance to come out again. Casey Chambers: Mr. Cavaliere, thank you very much for hanging out with me today. Felix Cavaliere: Alright, my friend. Thank you, Casey.